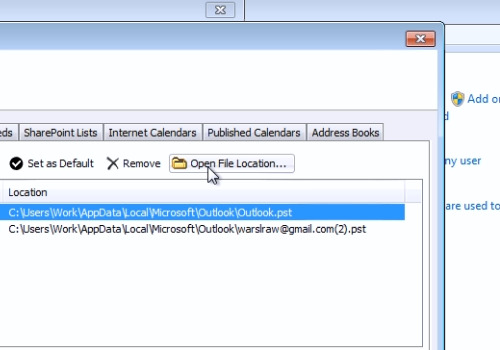 In this video tutorial we will show you how to move the outlook data file. Go to the Windows “Start” menu and choose “Control panel”. 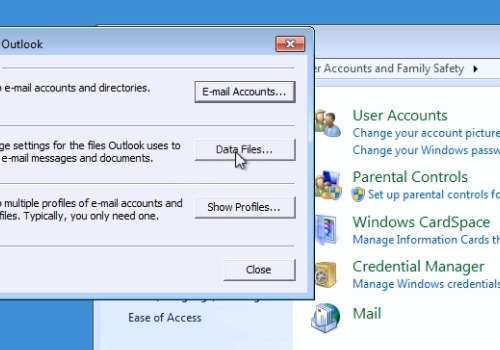 In the following window, press “User Accounts and Family Safety”. In the next window, choose “Mail”. In the following window, press “Data Files”. In the next window, select the account you wish to edit and press “Open File Location”. In the following window, right-click on the data file that you want to move and choose “Cut”. Then, paste the file where you want it. Close the window. Double-click on the account in the “account settings” window. In the appeared warning window you will see the message, “that data file cannot be found”. Press “Ok”. In the following window, choose the file location where you moved the data file and press “Open”. In next window, press “Ok”. You can also move your other data file, if you have a few accounts. 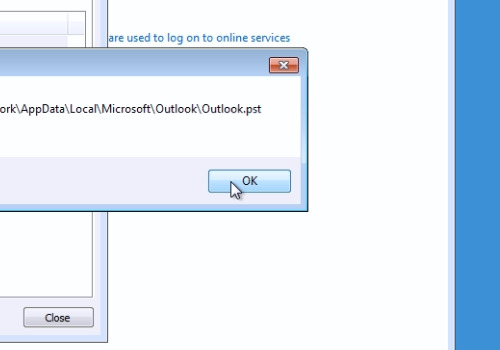 Select another account and then press “Open File Location”. In the following window, right-click on the data file that you want to move and choose “Cut”. Paste the file where you want it. Double-click on the moved data file account. In the warning window, press “Ok”. In the next window, go to the location of the moved data file, select it and press “Open”. In the next window, press “Ok”. 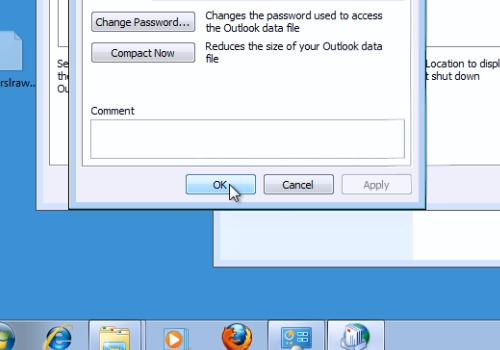 Now you know how to move your Outlook data files.